This may be a hidden gem! 12 people have recently viewed it. 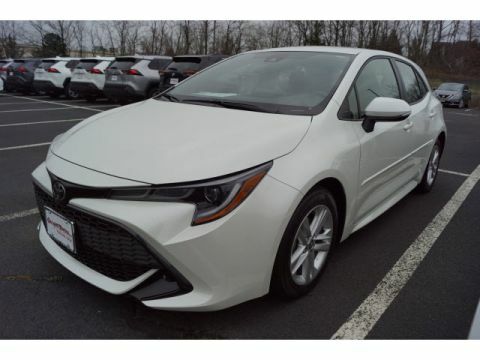 Only Only 2 Corolla Hatchback SE CVT left in stock! left in stock! SE trim, BLIZZARD PEARL exterior and BLACK interior. 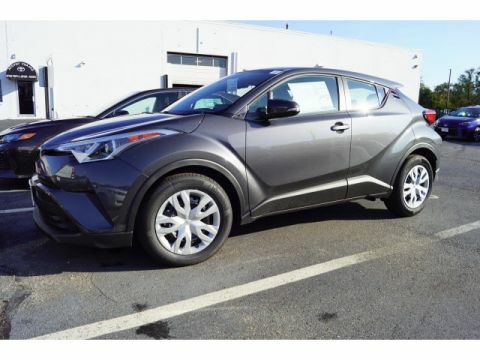 Brake Actuated Limited Slip Differential, ALL-WEATHER FLOOR LINER PACKAGE, SE OPTION PACKAGE, Aluminum Wheels, Lane Keeping Assist, Back-Up Camera. EPA 42 MPG Hwy/32 MPG City! READ MORE!======KEY FEATURES INCLUDE: Back-Up Camera, Aluminum Wheels, Lane Keeping Assist, Brake Actuated Limited Slip Differential. Rear Spoiler, Keyless Entry, Child Safety Locks, Steering Wheel Controls, Heated Mirrors. ======OPTION PACKAGES: SE OPTION PACKAGE Blind Spot Monitoring, lane change assist (LCA), Radio: Entune 3.0 Premium Audio, SiriusXM w/cache radio, Entune 3.0 connected services, service connect, remote connect, 8 inch touchscreen, 6 speakers, Siri Eyes Free & Apple CarPlay compatible, Amazon Alexa enabled, Entune 3.0 app suite, safety connect, Wi-Fi connect powered by Verizon, Scout GPS link compatible, aux port and USB media port, AM/FM, voice recognition training and tutorials, hands-free phone capability, voice recognition and music streaming via Bluetooth, customizable home screen and weather/traffic info via Entune 3.0 app suite, Satellite Radio, ALL-WEATHER FLOOR LINER PACKAGE cargo tray, All-Weather Floor Liners (2T). Toyota SE with BLIZZARD PEARL exterior and BLACK interior features a 4 Cylinder Engine with 168 HP at 6600 RPM*. ======EXPERTS REPORT: Great Gas Mileage: 42 MPG Hwy. ======VISIT US TODAY: Here at Galaxy Toyota one of the NJ Toyota dealers our mission is treat every visitor like an honored guest in our home but to the great Toyota customers we serve it is much more than a mission statement. Our New Jersey Toyota customers quickly learn that shopping at Galaxy Toyota means being treated with respect Horsepower calculations based on trim engine configuration. Fuel economy calculations based on original manufacturer data for trim engine configuration. Please confirm the accuracy of the included equipment by calling us prior to purchase.